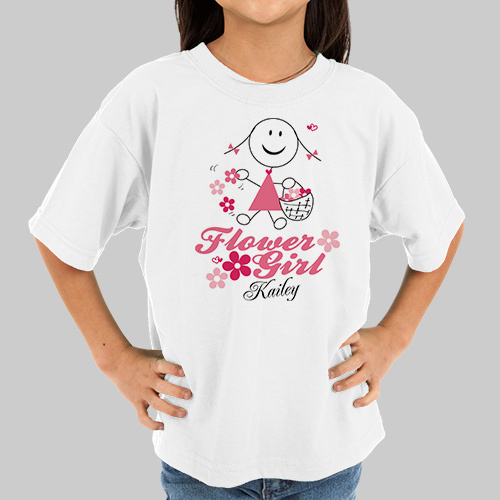 Show your flower girl you appreciate her with our Personalized Flower Girl Wedding T-Shirt. She is sure to look absolutely adorable walking down the aisle in this cute personalized shirt. Our Personalized Flower Girl Tee Shirt is available on our premium white 100% cotton Personalized T-Shirt, machine washable in youth sizes S-XL. Includes FREE Personalization! Personalize your Flower Girl Youth Wedding T-Shirt with any name, free!